Mr. Johnson is the President/CEO and Co-founder of Cimcor, Inc., a cutting edge IT security software company. His company’s software helps companies with compliance, real-time change, and protection of valuable information. He is an inventor, developer, speaker and active in his community. Mr. Johnson serves on the board of The Methodist Hospitals and is Chairman of the Board of Legacy Foundation. He was appointed by the Governor to the Board of Commissioners for the State Student Assistance Commission of Indiana. Mr. Johnson was recently recognized as Small Business Exporter of the Year by the NW Regional SBDC, and a Fellow in the Society of Innovators. He was commended in the Congressional Record of the #112 Congress for his contributions in security and innovation. 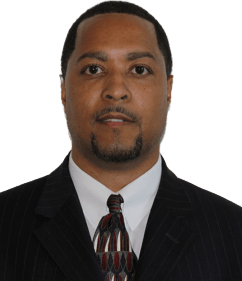 Mr. Johnson has a Master Degree in Management and a Bachelor’s Degree in Systems Programming both from Purdue University.